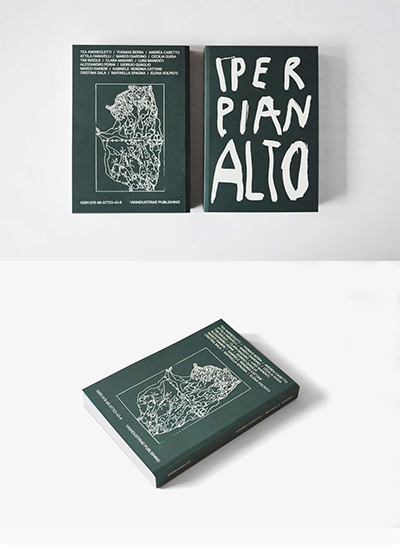 In 2006 the Fondazione Spinola Banna per l'Arte began a small-scale but important publishing activity. The motivation was twofold: firstly to document its own activities in the world of visual arts and contemporary music; and secondly to patronise the publication of critical essays on contemporary music and monographs on contemporary art by figures who have actively taken part in the various projects of the Foundation either as visiting professors, or also as students. The visual art editions will be published in conjunction with other Italian and foreign institutions whose goal is that of promoting young artists. The Quaderni di Banna (Banna Notebooks), published as a box set at the end of each cycle of activity for the year, document the artistic and musical work of the Foundation. As well as films of the discussions and debates held during the workshops the visual art volumes contain work produced during each session and detailed documentation of the work of the teachers and the participants on each course. Material related to the Music Project includes the libretto, a presentation of all the workshop's participants and the commissioned piece, and a recording of the final concert. The edition of Progetto Musica this year is led by Unsuk Chin. We will hear Akrostichon-Wortspiel, the soprano cycle and ensemble with which it has set itself internationally, of seven scenes taken from The Never Ending Story of Michael Ende and Alice through Lewis Carroll's Mirror. The evening opens with a song by Bela Bartok much loved by Unsuk Chin. The new commissions are entrusted to the two young Zeno Baldi and Hankyeol Yoon and in concert we will have the soprano Anna Piroli with the mdi ensemble and the mandolinist Detlef Tewes, directed by Filippo Perocco. Music: Silvia Colasanti La rosa que no canto (2006) performed by Quartetto di Cremona. What might be the role of art and artists in an evolving geography such as that of recent years? To what extent can the residency experience have an influence on artistic research? Working Geographies is a book that documents the first four editions of the Resò international residency program that began in 2010. Through the texts by the authors and the projects of the twenty artists involved in the program thus far, the publication approaches questions that start from art to approach spheres like economics, the environment, politics, history, communication and the social sciences, exploring uncharted artistic routes that trigger dialogue between a region of Northern Italy—Piedmont—and Egypt, Brazil, India and Colombia. Working Geographies offers a set of reflections around the concepts of boundaries, identity and culture, in a liquid global scenario subject to continuous interrelations and rifts. A volume edited by: Gail Cochrane and Angela Vettese with contributions by: Gail Cochrane, Mario Airò, Guido Costa, Stefano Coletto and Angela Vettese. “That which binds us is an almost entirely common range of emotional tones, a way of creating the most suitable conditions for reflection, a political management of spaces, both of everyday life and of the mind” (Gail Cochrane and Guido Costa).